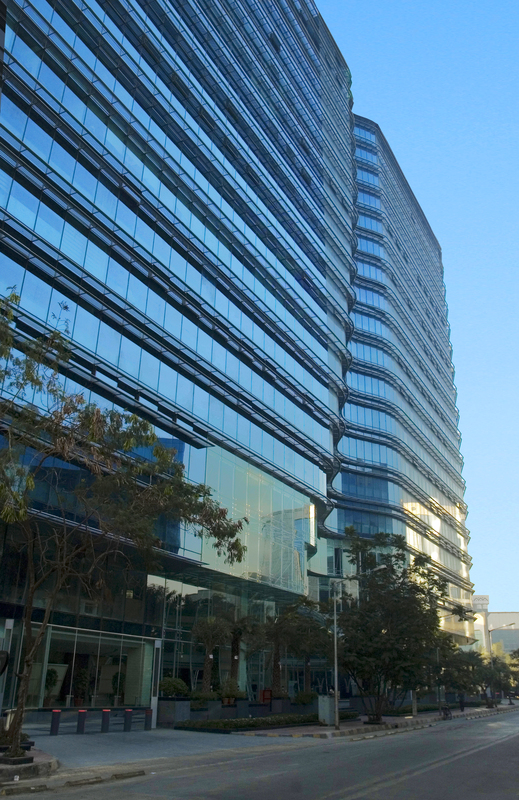 Client: M/S Raghuleela Leasing & Real Estate Pvt. 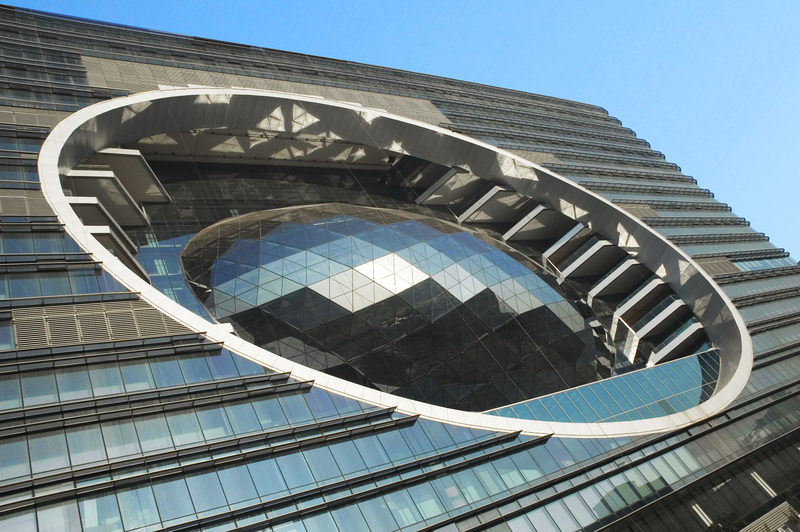 Ltd.
Based on the idea of ‘Cybertecture’, The Capital merges evolutionary concepts with sustainable designs and advanced building systems. 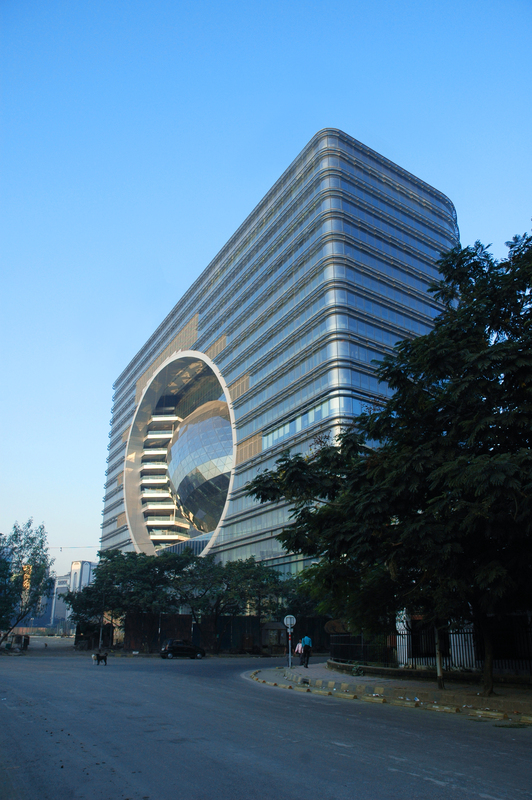 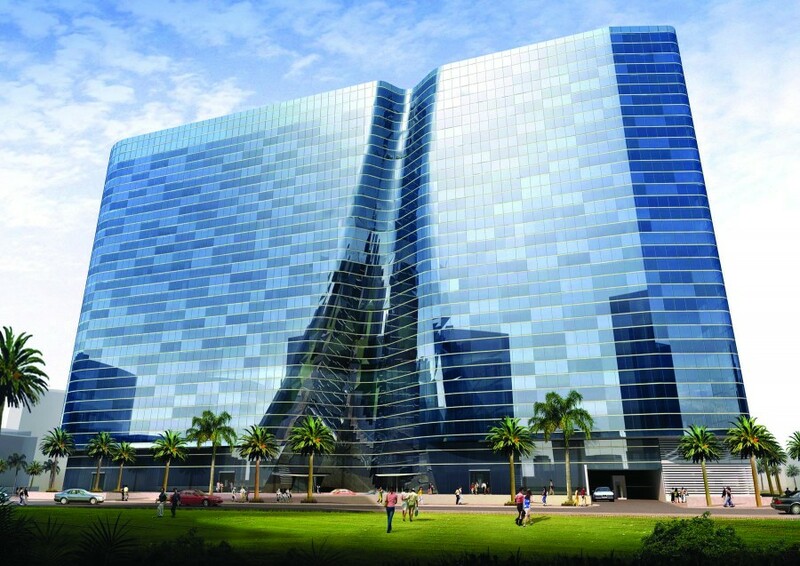 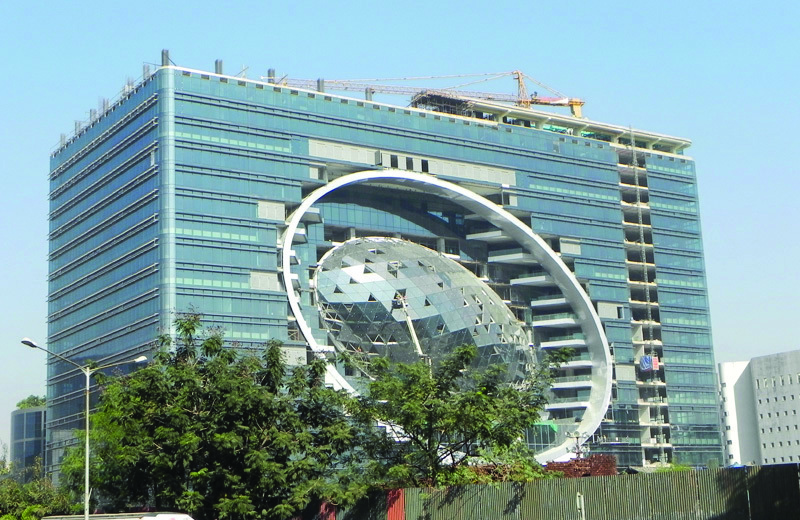 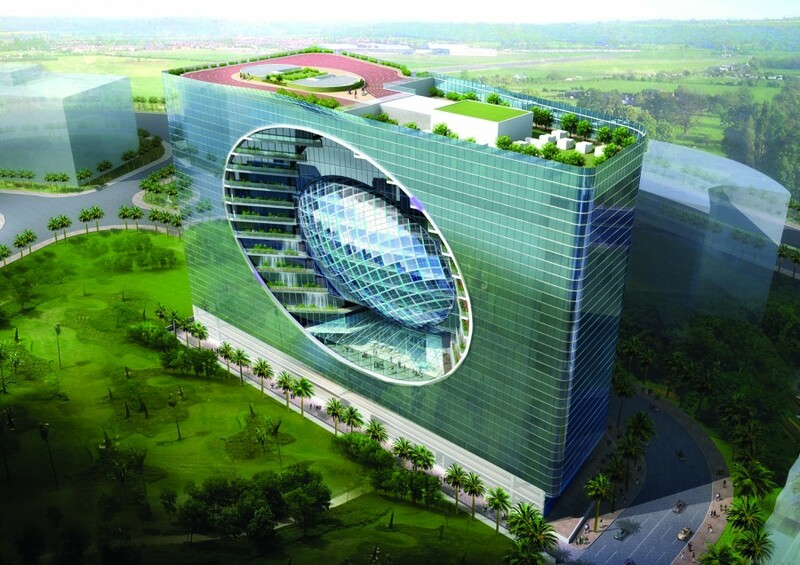 The exterior of this high-tech office building comprises a protruding glass Cybertecture Egg. 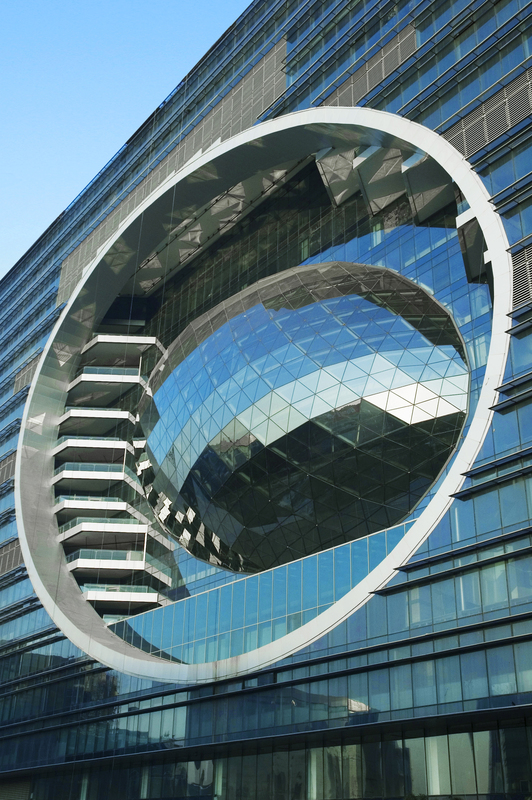 The structure of the Cyber tecture Egg uses a diagrid exo-skeleton which creates a rigid structural system, allowing for large column-free floor plates and high space flexibility. 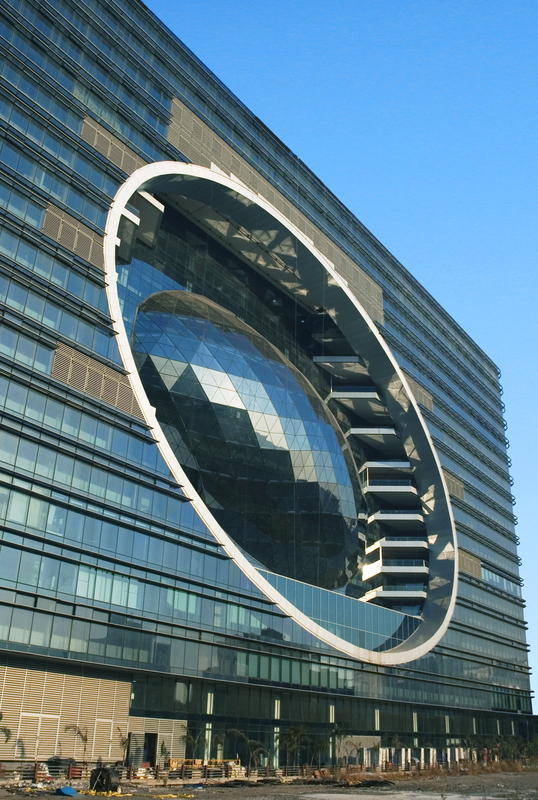 As the Egg does not have a flat surface, an exterior cleaning system is essential. 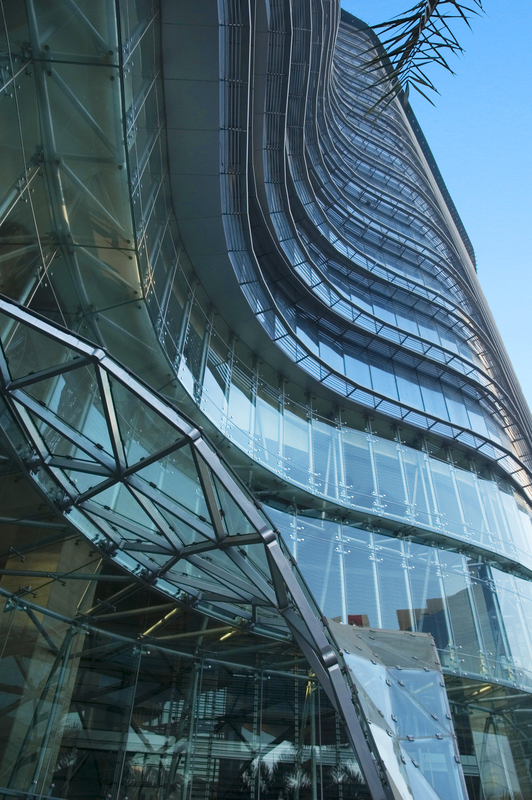 The monorail is installed on the 13th floor, underneath the slab, and moves around the entire egg diagrid façade and window wall system. 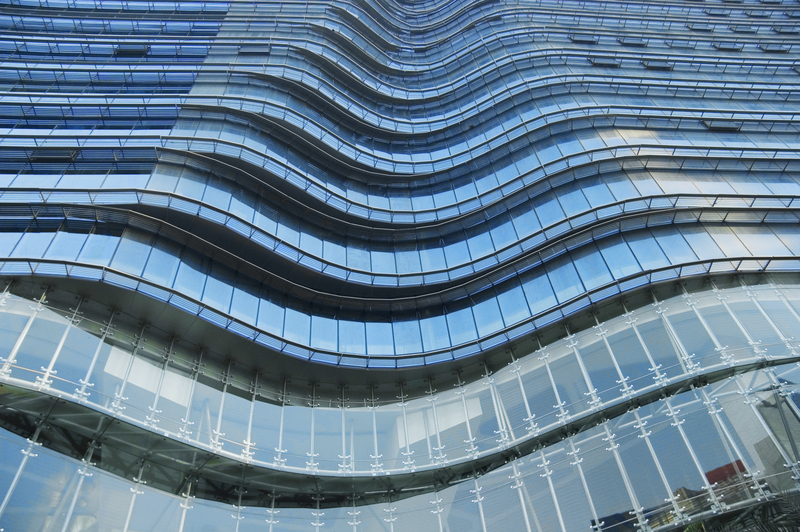 In all, the façade consists of 22,600 square metres of unitized curtain wall, 3,750 square metres of egg diagrid semi-unitized system, 1,000 square metres of louvres system, stick curtain wall system and swing doors. 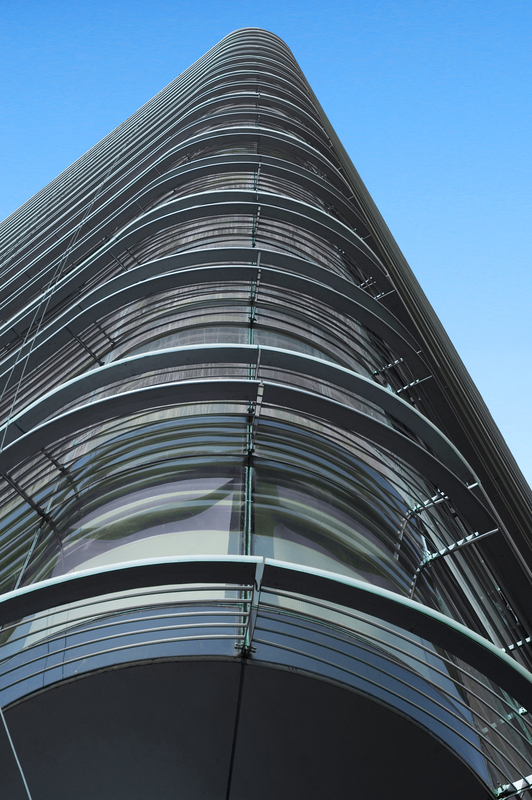 Photovoltaic cells are integrated within the glass façade to provide an alternative electricity source. 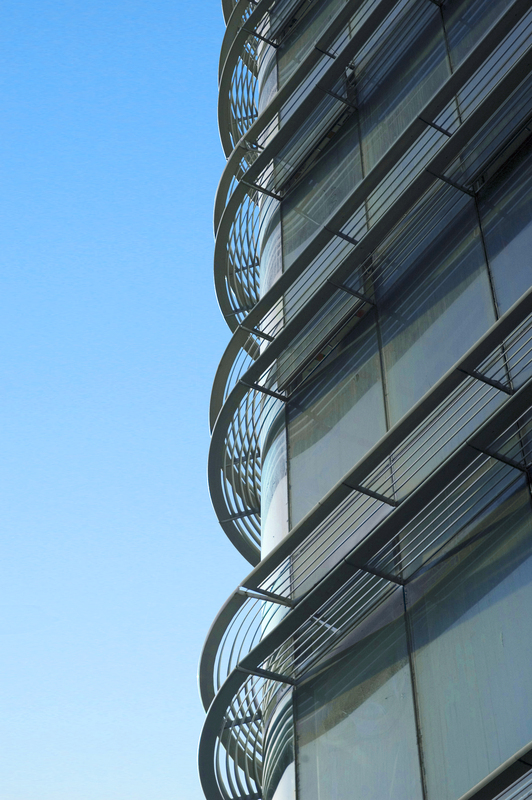 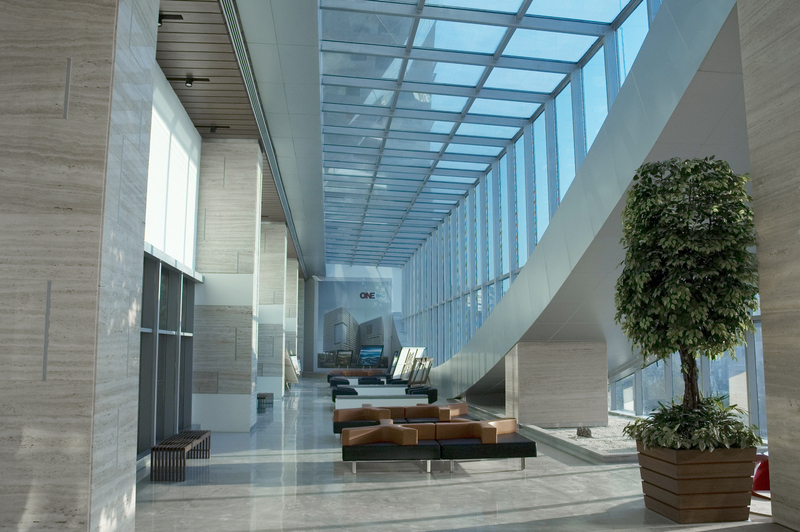 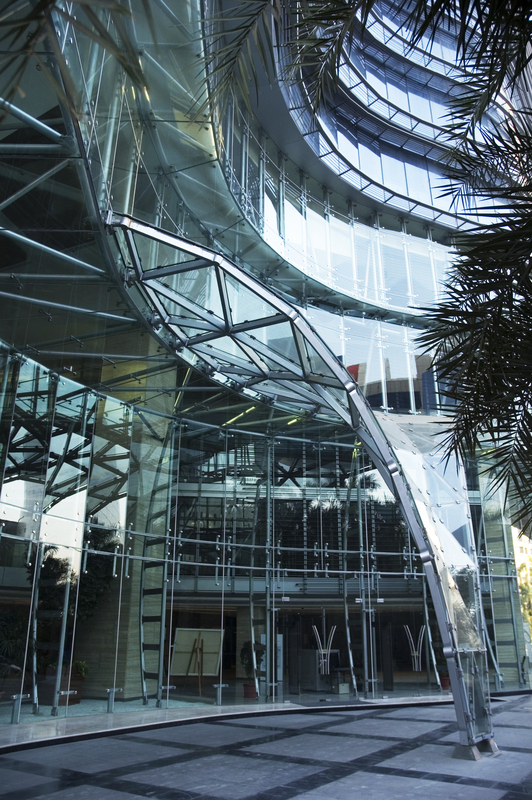 The building’s glazing has variable fritting and tones based on the sun orientation as well as variable shading and tinting.